Nelson Mandela arrives home Jump to media player Former South African president Nelson Mandela has left hospital and has gone to his Johannesburg home, where he continues to receive intensive care, the presidency says. 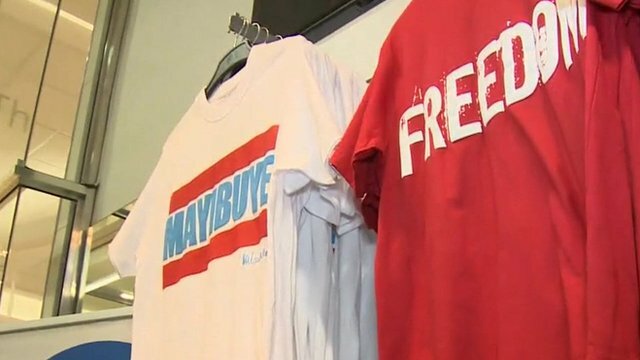 Mandela family launch clothing range Jump to media player Two of former President Nelson Mandela's grandchildren have launched a clothing range in his honour, denying accusations that they are "cashing in" on the name. 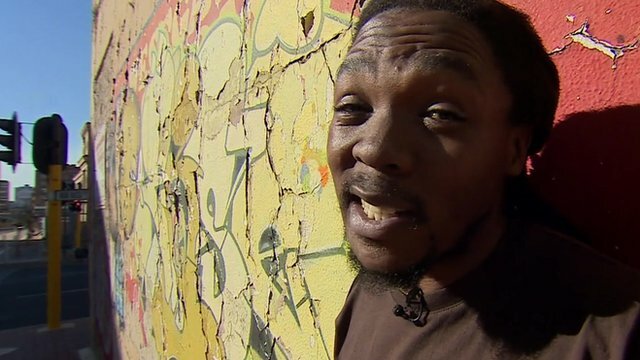 'We call this city Johustleburg' Jump to media player Johannesburg-based street poet on the struggles and rewards that come from the streets of what he calls "Johustleburg". 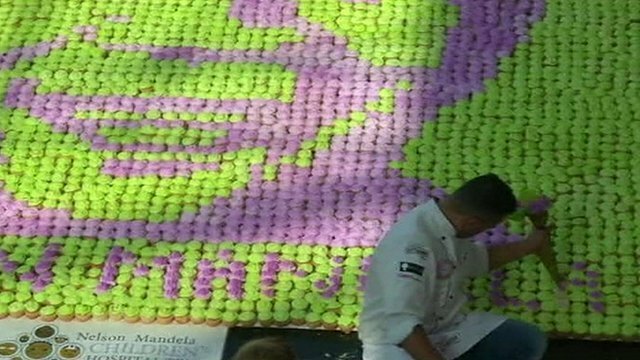 'Sweet' tribute to Nelson Mandela Jump to media player Children with cancer and volunteers make a portrait of former South African President Nelson Mandela with 5,000 cupcakes. 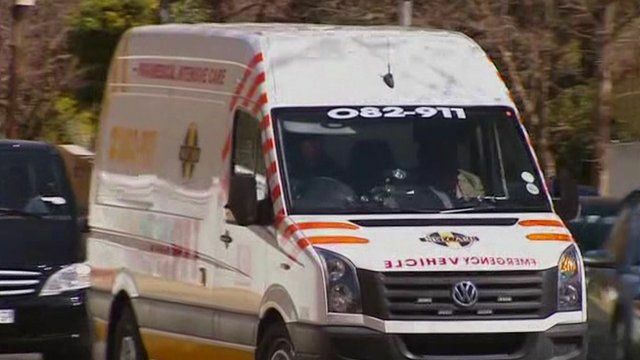 Nelson Mandela has left hospital and has gone to his Johannesburg home, where he is continuing to receive intensive care, the South African presidency says. The announcement came a day after officials denied reports that the 95-year-old had already been discharged. The statement says Mr Mandela's condition remains critical and, at times, unstable. Mike Wooldridge reports from Johannesburg.